Thomas Picasso (Danny) and Seth Golay (Brad) sing of feeling sick of hearing songs about New York. Before we talk about The Nervous Set, can you describe the multidisciplinary mission of the Lawrence Arts Center for our listeners who may not have seen a concert, play or art exhibition there? The Lawrence Arts Center is a beautiful cooperative venture of the city of Lawrence and a non-profit. There are really three tiers, though. It's an educational institution; it's a gallery, an exhibition institution; and it's a performing arts center. 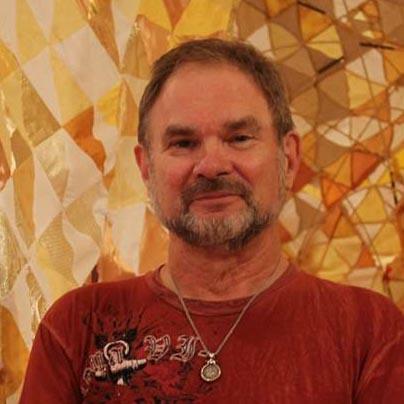 Director Ric Averill is the artistic director of performing arts at the Lawrence Arts Center. So on any given week, that place is bustling with artists of all kinds. Absolutely. And it’s wonderful for those of us who work there. I started taking dance a few years ago because I could walk up to the studio and take some dance classes. And I've taken life drawing classes there. And a lot of the artists come attend the theater. We do a lot of collaborative work. Some of the artists have done sets for us and that kind of thing. So what goes into a decision about what a theater season will look like? Well, a couple things. We have a dual mission of both education and artistic excellence in performance. We have a curatorial team that gets together once a week. Like this year, for example, we decided to have an emphasis on William Burroughs. And as we were looking for musicals that might reflect the Beat Generation, we thought, there must have been some musicals created in that time period, and we came across The Nervous Set. The Nervous Set is a pretty obscure piece that premiered in 1959 in St. Louis, Mo., had 23 performances on Broadway, and it's been described as a Beat jazz musical. Yeah, it actually was developed at The Crystal Palace in St. Louis, Mo. under the direction of Jay Landesman himself. So Jay and Fran Landesman were a husband and wife team. Jay had developed the Beat literary magazine Neurotica in the late '40s. He was living in the Village. And it had enough issues to offend the U.S. Post Office censorship board, so it ran afoul of the censors. And it was really kind of a pivotal magazine for getting that Beat generation rolling. So the musical is really about the magazine and that time? Yeah, it's kind of like when a rock band gets together and everybody's really cohesive at first and they all love each other and doing things that are cutting edge and then they all start sleeping with each other and they all start fighting and they all start breaking up and whole thing starts falling apart. 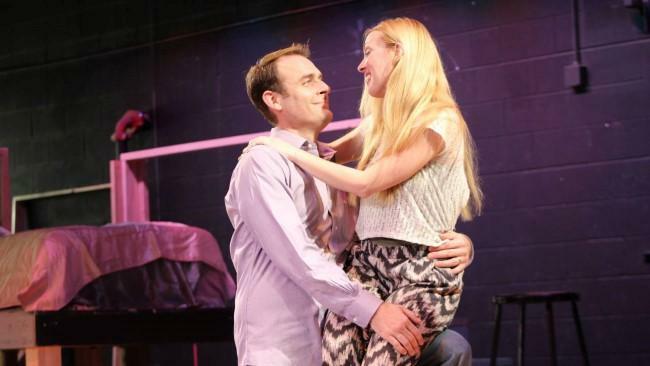 (from left) Seth Golay and Megan Birdsall in 'The Nervous Set,' directed by Ric Averill. I want to talk about the casting because you've got Seth Golay, who's a known musical theater performer here in Kansas City, and then Megan Birdsall is really known as a jazz singer. Was she open to this challenge? She comes to acting pretty naturally. Her dad is Jim Birdsall, a great Kansas City actor, and she'd done some acting and some musical theater in the past. So there's just this element where Megan is perfect for this role. It's kind of built for her. Seth has an incredible voice, as you know. He did Threepenny Opera for me two years ago. 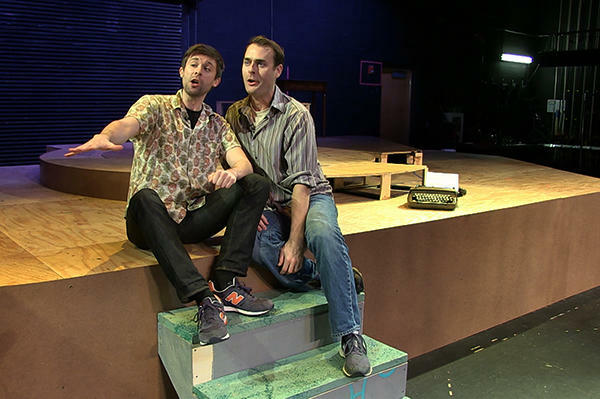 Tom Picasso has done some new theater, he comes from the Kansas City area and came up through KU, and Tom plays the Allen Ginsberg character, and he and Seth sing a song about New York which trashes songs about New York. It's one of the highlights of the show; it's very, very funny. Is William Burroughs a character in this? Because you mentioned Jack Kerouac. He wasn't in the original script, but we have one scene where he and Kerouac go looking for drugs. You took some poetic license with this because you wanted to get Burroughs in there because Burroughs lived in Lawrence? I mean, it goes full circle. Yeah, yeah. Who knows, if this play goes on somewhere else, somebody may say, 'Oh, we don't need that scene.' But everybody approved the insertion of that scene. But 95% of it is from the original Broadway production and the novel, The Nervous Set. The Nervous Set, Oct. 2-18, Lawrence Arts Center, 940 New Hampshire St., Lawrence, Kan., 785-843-2787. Wednesday, February 5, marked what would have been the 100th birthday of one of the 20th century’s most important and notorious writers: William S. Burroughs. 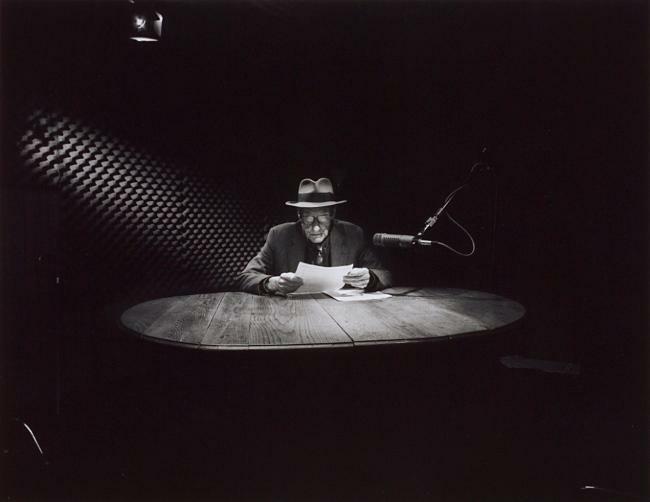 Burroughs was one of the original Beat poets, and helped spark a cultural revolution. He wrote like no one had before, about topics considered impolite, if not obscene, at the time. 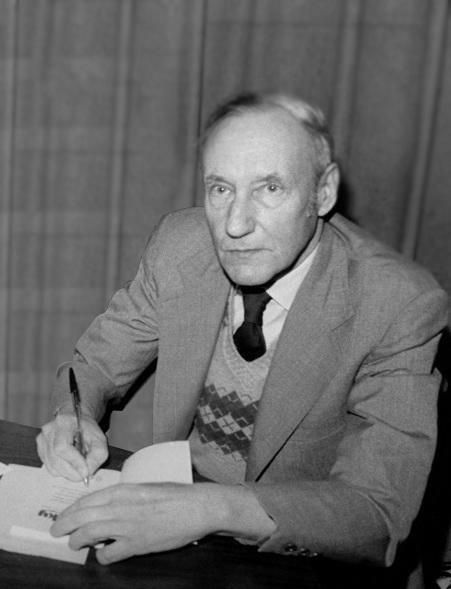 Who was William S. Burroughs? Some remember him as a controversial Beat writer; others remember his illicit drug habits and the murder of his second wife. On Tuesday's Central Standard, we talk about the life of the infamous man from St. Louis, Mo. who traveled around the world and later settled in Lawrence, Kan. 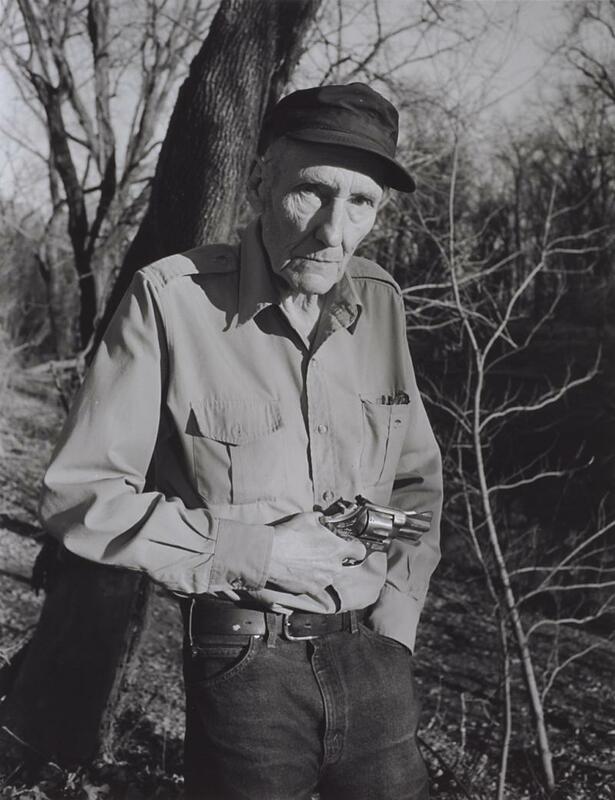 This year marks the 100th anniversary of the birth of William S. Burroughs, who was born in St. Louis, Mo., in 1914. A writer, painter, and spoken word artist, Burroughs is considered one of the seminal members of the Beat Generation. He spent his final years living in Lawrence, Kan.